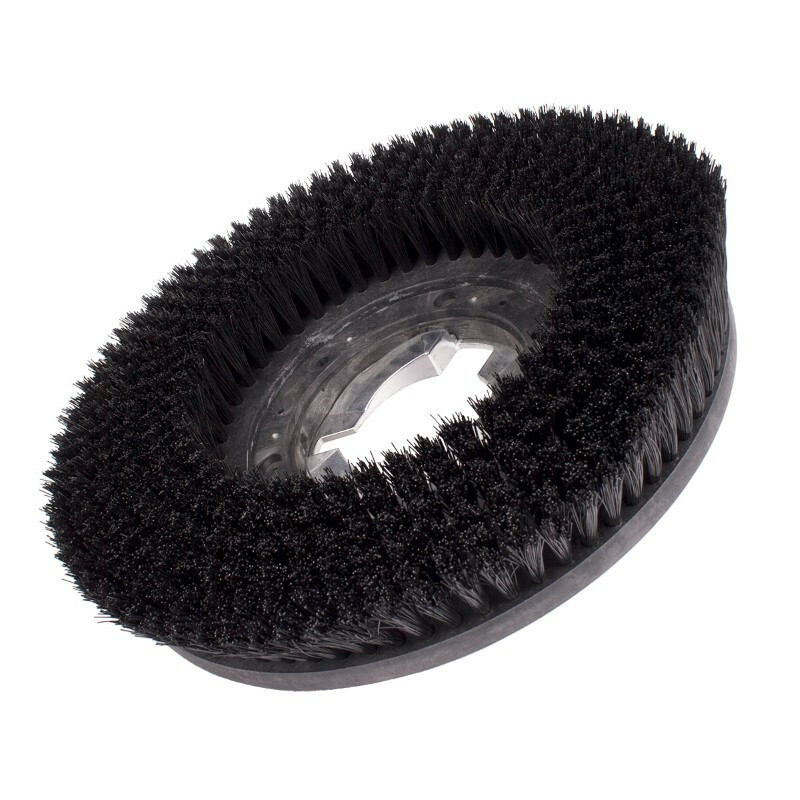 This nylon floor scrubbing brush is for use on 13" floor buffers for everyday cleaning of hard surfaces. This nylon scrubbing brushes features a 12" apron to fit underneath the 13" head of the buffer, and is filled with a .020" diameter nylon bristle material throughout the block. Nylon is more flexible and will last the longest of all types of brushes. 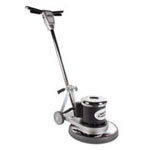 Great for scrubbing any commercial floor, and fits on our 13 inch 175 RPM floor buffing machines. Please feel free to look at our full line of floor buffer floor scrubbing brushes for more options. For long term brush care, we recommend rinsing your nylon brush with hot water for 5 to 10 minutes to help the nylon bristles recover their form after use.